Our “C” word for November is CARE. In the CYITML definition, a leader who exhibits CARE: Puts others first; evaluates everyone honestly; understands everyone’s impact. Because of both the timing (early November) and the subject matter (CARE), this is a chance to re-post an article about a former college pitcher and close friend, Scott Shannon. You’re likely in the 98 percent of people reading this who’ve never heard of Scott and, possibly not even Lipscomb University. But he embodied CARE. Here’s a bit of his story in a column I’ve written and edited many times around November 5. 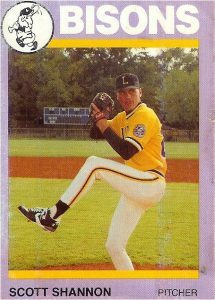 From 1987-1991, Scott Shannon was a hard-throwing right-hander for legendary college baseball coach Ken Dugan and the Lipscomb University Bisons in Nashville, Tenn.
Shannon, 6-foot-4 and about 180 pounds (even though he was listed at 195), had a gift for a right arm. Part of that gift was the ability to throw in the 90s. Another part was the ability to throw just as hard in the late innings of a game as he did in the first two. During his career, Shannon compiled a career 27-9 record and a 3.87 earned run average for the Bisons. As a junior, he walked only eight batters in 70 innings. 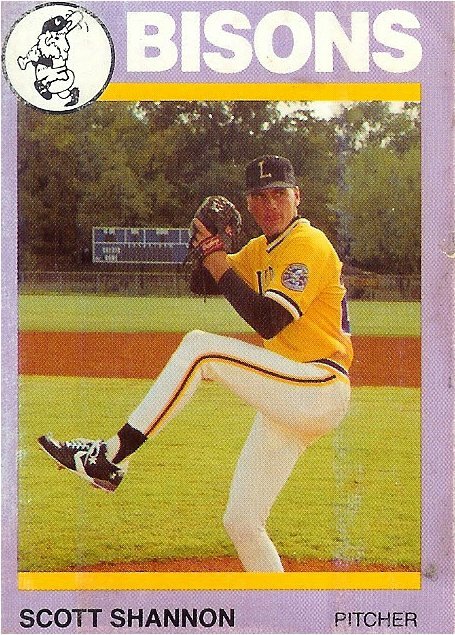 During his senior season of 1991, Shannon helped lead the Bisons to the NAIA District 24 baseball championship and a berth in the Area 5 tournament. That season, the NAIA All-American Shannon had a 10-1 record with a 2.85 ERA, and was the NAIA Player of the Week at the end of March. Several major-league scouts talked to him, but he wasn’t drafted. Stories about Shannon around campus were near legendary, or at least that’s how my aging mind remembers. He ran five or six miles a day. On several occasions, he even ate an entire pizza late at night and then ran five miles a few minutes later, clocking a pretty good time. When he wasn’t pitching, Shannon was involved with the Bison Radio Network. We were broadcast partners for nearly three years. In all, I’d guess we called more than 250 basketball and baseball games together in those three years. His baseball teammates likely would say that he fit the CYITML definition of CARE. He definitely did as a broadcasting partner. That’s the way he was. Shannon had an uncanny ability to make friends with a wide range of people. He touched hundreds of lives. There are plenty of people with great Scott Shannon stories, I’m sure. As a close friend, in early 1991, he was the instigator in me getting up the guts to introduce myself to the pretty girl who’d eventually become my wife. But as an athlete you know your body. You know the aches, pains and normal fatigue and recovery. Even as a young, invincible athlete, you know when something just isn’t right. In early September, Labor Day weekend to be exact, Scotty reached that point. Something just wasn’t right, so he went to see a doctor at a Nashville hospital. The doctor suggested that he go, almost immediately, to nearby Vanderbilt University Medical Center. This week, undoubtedly, I’d be calling or texting Scotty to give him a hard time about inching closer to 50. But I won’t make that call or send that text. You see, two months after being admitted to the Vanderbilt hospital, and having not left it since the Sunday night before Labor Day, Scotty lost his fight with a rare form of cancer and all of the drugs used to fight it. It was Nov. 5, 1991. He was six days shy of his 22nd birthday. Why would God allow this to happen? How could someone my age — and in incredible shape — get cancer and die so quickly? I haven’t learned the answer to either of those questions. I don’t suspect we ever will. A lesson I’ve learned through the years, though, is that friends come and go. There are those who come into our lives and we’re forever grateful, regardless of how long we’re around them. My youngest son, who happened to be born on Nov. 9, 2004, takes one of his names from Scotty. Scott’s family has told me that they know of other little boys running around with the name Scott because of Shannon’s influence. For the most part, that line is correct. If we’re lucky enough, we’re touched by at least one friend that we do owe. For me, Scott Shannon is — and always will be — one of those friends.